You have a python list and you want to sort the items it contains. Basically, you can either use sort or sorted to achieve what you want. The difference between sort and sorted is that sort is a list method that modifies the list in place whereas sorted is a built-in function that creates a new list without touching the original one. 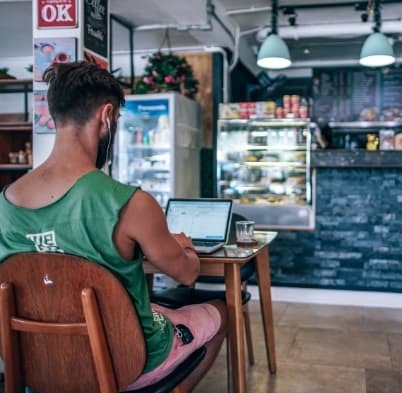 In this article, I will teach you how to use these functions to sort, in an ascending or descending manner, a list of numbers, strings, tuples, or literally any object. I will also teach you how to define your own custom sort functions. 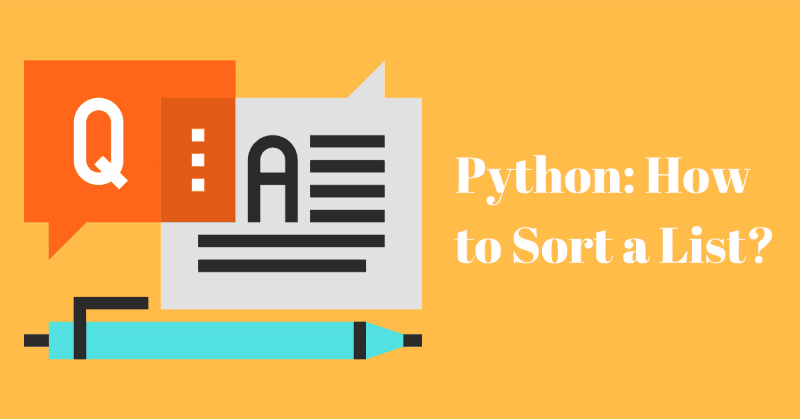 Read the whole article if you want to learn all about list sorting in Python. Otherwise, feel free to jump straight to a specific section. Sorting a numerical list is a piece of cake in Python. You can sort a list of numbers (integers or floats) very easily by using the sort method. Notice that the list L was sorted in place. No new objects were created. If you want to create a new sorted list without modifying the original one, you should use the sorted function instead. As you can notice, both sort and sorted sort items in an ascending order by default. If you want to sort in a descending order, all you have to do is add the parameter reverse = True to either the sort or sorted functions. Here is another example to show how you can use the sort method in a descending manner. Now let’s take a look at how to sort a list of strings. So what if you want to sort a list of strings instead of numbers? You can still use sort or sorted. and you can still use the reverse parameter to sort in a descending order. So far so good, but there is a catch. Let’s see what happens when there exists uppercase letters. The reason for that is because Python treats all uppercase letters to be lower than lowercase letters. If that’s what you want then cool, go ahead and use it without any modifications. However, most of the time you want to treat strings as case insensitive when it comes to sorting. So how can you sort a list of strings in a case insensitive manner? Starting with Python 2.4, both sort and sorted added an optional key parameter. This key parameter specifies a function that will be called on each list item before making comparisons. This is indeed very helpful because now we can pass the str.lower as the key parameter to the sort function. And this will instruct the sort function to perform comparisons between the all-lowercase versions of the strings which is exactly what we want! As you can see, now the sorting is case insensitive. In fact the key parameter is very powerful as it allows us to define our own custom sorting functions as we will see later. Before we dive in, let’s see how Python compares two tuples. Tuples are compared element by element starting from the first element which is very similar to how strings are compared. In other words, you start out by comparing the first elements of the tuples and if they are not equal, this is the result of the comparison. If they are equal, the second items are compared and so on. If this is your goal, then just use the sort method or the sorted function and both will work just fine. But sometimes this is not really what you want. For example, assume you have a list of tuples where the first element in each tuple represents a name, and the second one represents the age. And we want to sort this list of tuples by age. how can you sort a list of tuples by the second element? The key parameter will again come to the rescue. We can define our custom sort by defining our own key function. You can even write a neater code if you want by using lambdas. So what about if you have a list of generic objects and you want to sort these objects based on some custom criteria. The key parameter is your friend. A simple class that has name and age attributes. Let’s create some User objects and add them to a list. Now let’s say you want to sort the objects in this list alphabetically by the name attribute. And just like that, you can define any custom sort on any python object you can think of.